Gratitude is important for social and emotional health. Research suggests that there is a relation between experiencing and expressing gratitude and happiness. 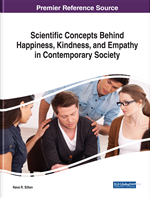 The aim of this chapter is to review current research regarding gratitude development and happiness, adolescent gratitude development, and to discuss future recommendations. This chapter also discusses a study examining adolescent perspectives on the meaning of being thankful. To obtain adolescent perspectives on the meaning of being thankful, adolescents (N = 1,098) wrote essays describing what being thankful meant to them. Thematic analysis was used to identify and analyze themes within the essays. Percentiles were calculated for the most recurrent themes across essays (Appreciation = 54.07%, Family = 31.42%, Positive Emotions = 28.81%, Assistance/Support from Others = 25.99%, Friendship = 21.18%, and Downward Comparison = 16.60%). Understanding gratitude development in adolescents can aid in creating effective interventions, potentially increasing adolescent well-being and happiness. Gratitude development in adults yields positive effects. In adults, gratitude is related to positive emotions and wellbeing, including the emotion of happiness (McCullough, Emmons, & Tsang, 2002). Further, there is a positive relation between gratitude and prosocial behavior (Ma, Tunney, & Ferguson, 2017), as well as a positive relation between gratitude development and subjective well-being (Emmons & McCullough, 2003). Gratitude is also incongruous with negative emotions and may even mitigate the presence of negative feelings, such as greed, envy, or anger (Lyubomirsky et al., 2005). In addition to gratitude’s positive effects on positive emotions and subjective well-being in adults, research has found that gratitude has a positive relation with health: the greater the gratitude, the better the health (Singh, Khan, & Osmany, 2014). Clinical trials suggest that gratitude can lower blood pressure and improve immune functions (Emmons, 2014; Emmons & Stern, 2013). Gratitude, therefore, seems to benefit people emotionally, physically, and socially.